A large black bear is featured in the center of our cotton tapestry wall hanging. Other lodge style icons accent this Catch of the Day Bear Wall Hanging. Fully lined and include dowel for hanging. 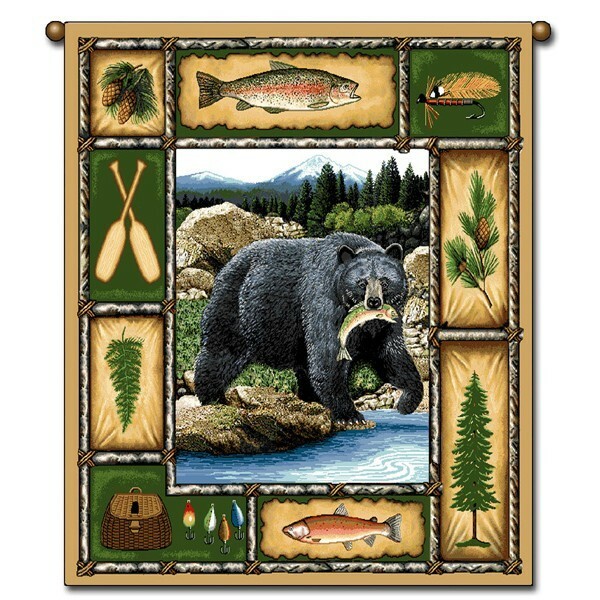 A large black bear is featured in the center of our cotton tapestry wall hanging. Other lodge style icons accent this Catch of the Day Bear Wall Hanging. Fully lined and includes dowel for hanging.